Bows are packed in crush proof trays that withstand the rigors of common shippers. When they arrive, you can either pull them from the trays to decorate, or just sell them right from the trays. 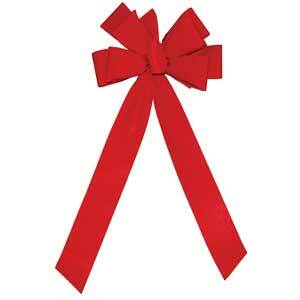 2 5/8 inch wide ribbon with 1 inch bow diameter. 8 loops, 17 inch tails. 48 per case, $3.30 each.